My cultural education follows on from the deepening and widening of a learning experience which started as a personal interest. For a long time I have initiated a reflection about resources, expressive and evolutionary abilities, as well as on the inner and less manifest aspects of the human being, and this reflection prompted me to undertake, in a personal way, a search on what may provide some answers to the meaning of the human beings’ life and to understand complex phenomena that we observe around us. I live in Bari and I have been interested in astrology, psychology and diagnosis of personality, since 1984, through readings, courses and several in-depth studies. In the 80s I took private lessons and made experiences of graphology according to the graphological method of G. Moretti taught in Urbino, which explains that by examining writing is possible to understand the “structural” mechanisms of personality. At the same time, I felt the need to study in detail the depth psychology and psychoanalysis through reading texts of different authors and different currents – Freud, Jung and their successors, Bioenergetics, Gestalt, Transactional analysis, Neuro-linguistic Programming, etc. -. I studied in depth many issues concerning psychosomatic medicine, the main disciplines which are based on alternative medicine, on what is commonly known as “holistic” approach to life. These different teachings, in different ways, face the complexity of man, his emotional world and his psyche and discomfort that sometimes is the origin of diseases. During the development of the study on the symbolism of the graphic forms I read a lot about the astrological symbolism, the meaning of the zodiac and the planets, appreciating, even here, the ability to grasp psychological traits from the horoscope of birth. Therefore, I carried out researches and comparisons between graphology and psychological astrology in particular in determining the planetary dominants orienting the personality structure and which are recognizable in the birth chart as in the writing of the examined subjects. After a practical application, and especially a verification carried out over time, on the synthesis of various techniques and knowledge gained from the courses and the astrological literature of contemporary authors, I started studying authors of the past which spoke of astrology. 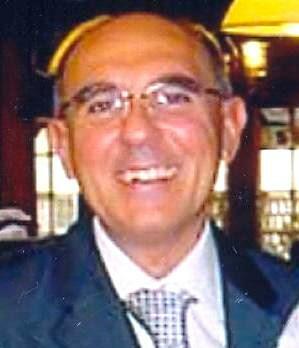 Since 1991, and for several years, I was a student of Giuseppe Bezza and this enabled me to know the basis and methods of the classical astrology. With Giuseppe Bezza and other his students, who shared an in-depth study of ancient astrology, in 1999 I was one of the founders of the association “Cielo e Terra” which still intends to collect and spread such knowledge. After the realization of the magazine Phôs in December 2000, which at the moment is proposed as a six-monthly paper for members of “Cielo e Terra” (containing an agenda of relevant astronomical phenomena occurring in the semester, works of astrological research, reviews, and various news), for the first issues I occupied the position of head of the editorial office.In the 3rd issue of the magazine my short unpublished article “The test-tube baby” was published. The Association website ( www.cieloeterra.it ) containing classical works, specific articles and texts, also contains the following articles written by me: “Basic qualities, elements and humours” (1997) and “An excellent son of Saturn” (2000), on Napoleon’s life. 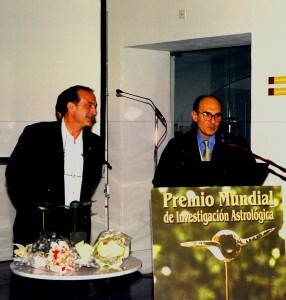 The latter work, in its Spanish translation, obtained the “Honorable mention” during the “First World Prize of Astrological investigation” within the international conference of Valencia in 2001 and edited by the Astrological organization Gracentro (Spain). The article “Basic qualities, elements and humours” was published in the 31th issue – Year IV (Spring 1998) –of the magazine, and spread in the news-stands, “New Age & Meditation” (New Sounds Multimedia). 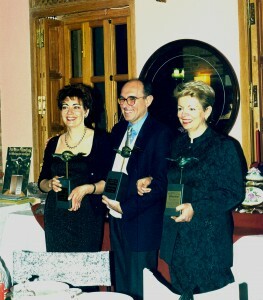 I am the author of the following articles published over the years in the journal of the CIDA – Italian Center of Astrology – “Astral Language”: “Considerations about unions according to the classical astrology ” 1997; “Basic qualities, elements and humours” 1997; “About the conception topic “1998;” Marriage and sons according to the classical astrology “- the first and second part 2001; “PadrePio? Saint? Mystifier? ” 2002; “The events and life according to the classical astrology, Mike Buongiorno” 2009; “Actors, directors, art directors, the excellence of the Oscars according to the classical astrology” 2010; and the following joint signature articles: “The Good, the Bad and the Ugly” 1996; “The lots of wealth or the wealth of lots” (1996); “About the prediction of future times according to the ancients – The case of Poggiolini” (1996) – first and second part; the introductory article about the weather survey “Summertime” (1996) and other four articles “Fog in the Po Valley” (1997) which examine the seasonal course of spring 1997, summer 1997, autumn 1997 and winter 1997/98. The website C.U.R.A., produced by Patrice Guinard, presents the article on Napoleon’s life “An excellent son of Saturn” (2000), in French and Spanish, and the unpublished article on Pablo Picasso’s life “The Genius, the Artist, the experimentation, the love for life “(2001), in Spanish. On the occasion of the National Conference of Turin of 2002, I presented a survey work on the Almuten of the soul entitled “The genius, the soul and Mercury – Mercury in the qualities of the soul”. In 2002 I worked with Mr. Ugolini, an amateur astronomer of Prato which publishes every year a limited edition astronomical calendar, also spread abroad, creating a short article about weather forecasts for the year 2003 entitled “Meteorology by the movement of celestial bodies “. During the International Conference held in Valencia in December 2005, I presented an article on the influence of eclipses on general events and on individual destinies entitled “The alternating fortunes of a prince of the people, the story of Masaniello”. During the 5th Conference of the Cultural Association Apotélesma, held in Genoa on the 20th October 2012, I presented an article on the astrological references in the Last Supper by Leonardo da Vinci entitled “Figurative arts and astrology: Leonardo’s Last Supper”. This site contains notions of classical astrology, articles and columns, examples of nativity and wants to offer a space specifically dedicated to give advice on astrological questions, by e-mail or by other means, as well as simply to approach, those who wish, the basic notions in use among the classical astrologers. Over the years I had experience of astrological advice and private teaching. The work I have done so far is the result of a study of the doctrine, which continues and is subjected to continuous verification through a comparison with other researchers, and it is also the result of the experience gained from astrological advice. Personally I think it is important to spread the basic notions of ancient and classical astrology also in order to increase the number of students of these disciplines which are an invaluable knowledge heritage.